One of the best portfolios of coverage for small businesses. Broad, flexible policies designed to protect your clients from their unique risks and exposures. AIG's Private Client Group homeowner coverage is available in all states for $500k or more. One of the premier portfolios of protection in the industry and is delivered by a team of experts dedicated to serving community banks. Getting clients to think about comparing things other than coverage limits and price is difficult. Even when it seems like they are taking everything into account, you often are not sure that they even "get it." Since making the intangible tangible is what we do all the time, we offer two checklists to help your potential clients see the value of your MiddleOak proposal more than ever before. Here is how it works: The checklists take the customer through our unique coverages by asking a series of questions. These questions force the customer to consider and actively check yes or no as to whether they will have these coverages or consciously have to go without each one as they check no to them. Now they are looking at more than just the limit of coverage and the price - which is all most of them (understandably) really would know. Even though you tell them, the process of taking themselves actively through a checklist process is a powerful exercise. You can email these, put them in with proposals already filled out to reinforce what they are getting, fill them out with the client - however you wish! As Atul Gawande's bestselling book "The Checklist Manifesto" has proven, checklists are powerful tools indeed. Now you have your own MiddleOak checklists to present! Email rick.cote@middleoak.com to get your copy of the checklists. The Habitational - Apartment Program and Habitational - Condominium Program from MiddleOak are available in AR, AZ, CO, DE, GA, IA, ID, IN, KY, MD, ME, MI, MO, MT, NH, NJ, NY, NV, OH, OR, PA, SC, TN, UT, VA, VT, WA, and WI on Big "I" Markets. InsurBanc President and CEO David Tralka was recently interviewed by Insurance Journal to discuss the importance of the interest rate environment to the insurance industry. In the video interview released by Insurance Journal, Dave discusses the correlation between the interest rate environment and what someone might buy or sell an agency for. 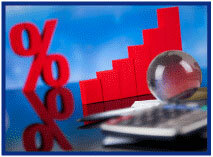 How does the possibility of rising interest rates impact agency valuations? Listen to Dave discuss the effects of a changing rate environment. Learn more about Insurbanc, the bank founded by insurance agents for insurance agents, at www.insurbanc.com. Most of your personal lines clients don't need you to be faster than a speeding bullet or to leap tall buildings in a single bound. However, they do need smart insurance protection, and there's one area in which they are particularly vulnerable: JEWELRY. If you're protecting your clients' jewelry collections with their HO/renters insurance policies, you may be doing them a disservice - even if you've scheduled their most important pieces. 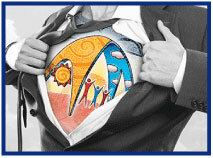 Ready to deploy your secret insurance power, otherwise known as RLI Jewelry Insurance? We're ready to help with competitive pricing, convenient online quotes, direct billing and comprehensive coverage with no minimum policy limits. You already know and love our PUP program. Now, see how well our jewelry insurance program can also provide value-added service your clients. To learn more about how to provide quick jewelry insurance quotes and earn competitive jewelry insurance commissions, contact Mike Maley at RLI at mike.maley@rlicorp.com. Technology is changing the sales game. Did you know that 80% of sales require five follow-up calls after the meeting and 44% of salespeople give up after one follow-up? Leveraging a sales automation tool is critical for agencies in building a book of business and driving sales from prospect to close. Research firm Aberdeen reports best-in-class adopters of Sales Force Automation (SFA) software saw their deals increase in size by an average of 27%, decreased the sales cycle by 16% and lowered sales administrative time by 14%. During the webinar you'll learn the foundations of a digital sales culture and how sales force automation extends digital capabilities across an agency. The webinar is free. Register today! June 6. "First Monday LIVE!" is a free monthly webcast hosted by the VU's own Bill Wilson and guests on the first Monday of the month to discuss the wide world of insurance from seemingly non-insurance topics. Each 30-minute webisode covers "what's going on" (drones, car sharing, concealed weapon laws, legalized marijuana, legislative issues) and the implications. May topics are pending as information is seen in the news. Click here to learn more and register and here to access the recordings. June 22. "Drones AKA Unmanned Aerial Vehicles" One of the most fluid issues in insurance today involves drones. The technology, regulations, exposures, and coverages seem to change on a daily basis. This webinar is designed to bring the participant completely up to date with regard to the technology, laws and regulations, evolving exposures/uses, and what coverages (both personal and commercial lines) are available in the marketplace. It will also dispel some of the myths about coverage (or lack thereof), especially in the area of privacy. Click here to learn more and to register. July 20. "Fixing Personal Lines Coverage Gaps" Through scores of real-life claims examples and court cases, this program examines common coverage gaps found in many personal lines policies and addresses the remedies for such gaps in the form of insurance products or risk management techniques Click here to learn more and register. Empower Brokerage: "Wait, How'd You Know that?" Recently I was intrigued by the headline, "Startup Commercial Broker Embroker Raises $12.2 Million." It was reported by A.M Best in their daily "Insurance News & Analysis." I did some quick research and reached out to some colleagues for any insights. Turns out they are new on the scene and not much is known by the Californians with whom I checked. Several of us were a bit disappointed in the somewhat condescending tone taken toward others in the P&C brokerage space. I might differ on whether insurance brokers…or our customers…or insurers are most attributable to being "the last bastions of paper applications and the fax machine." Also, isn't that a pretty broad paint brush to apply to an industry? But I digress, I'm a big believer in competition. It is good, it makes independent agents better and I welcome Embroker and their 10 commercial carriers to join us. I'll give their CEO props for recognizing that "insurance brokerage plays an really valuable part in our economy to help businesses protect their assets…" Readers of this space all know our importance goes beyond business assets. We know the economy grinds to a halt without insurance and overnight…even if no business suffers a single loss. Editorializing aside, in one call I mentioned, "I see Empower is probably licensed in all states but probably only one individual and not 10 commercial carrier appointments…at least not in all 50 states." "How'd you know so fast?" was the question I got. That's easy. I just go to the Wyoming Department of Insurance to check out new agencies that have national aspirations. If they are licensed in our smallest population state, they are very likely licensed or close to being licensed everywhere. What to check an agency out? Go to www.doi.wyo.gov and go to "Verify a Producer License." Bonus: I know, some of you will be disappointed there is no math this week. Next week I have numbers to share but to hold you over here's a math-based riddle instead. The riddle is from my mother and former Wisconsin independent agent. First answer gets a historic Mad Men style Big "I" logo cigarette lighter. "What do you get when you divide the circumference of a pumpkin by its diameter? " Congratulations to this week's winners - Jack Harris (IN), Eddie Anderson (MO), Jane Hamada (CA), Helen Goss (NH) & Cindy Wilson (IA). Congratulations to our agent in South Carolina on a cyber liability & security sale of $5,056 in premium!